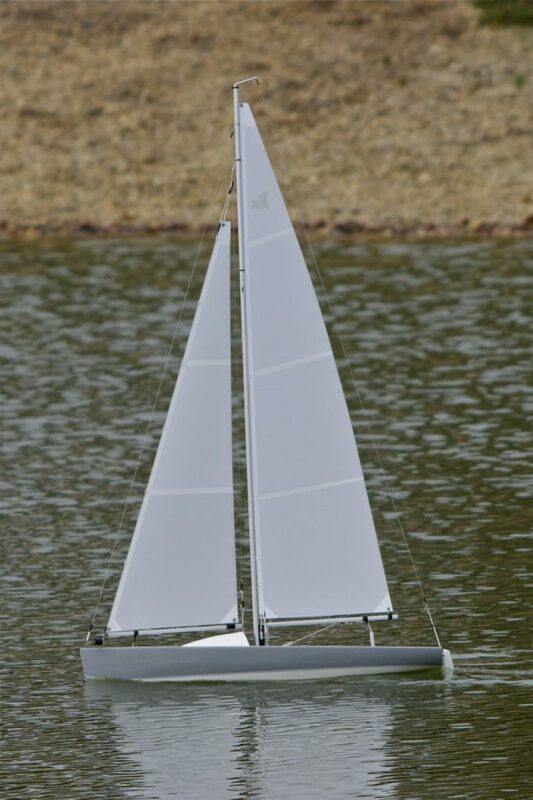 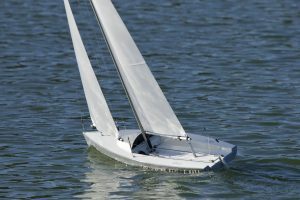 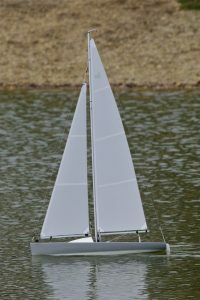 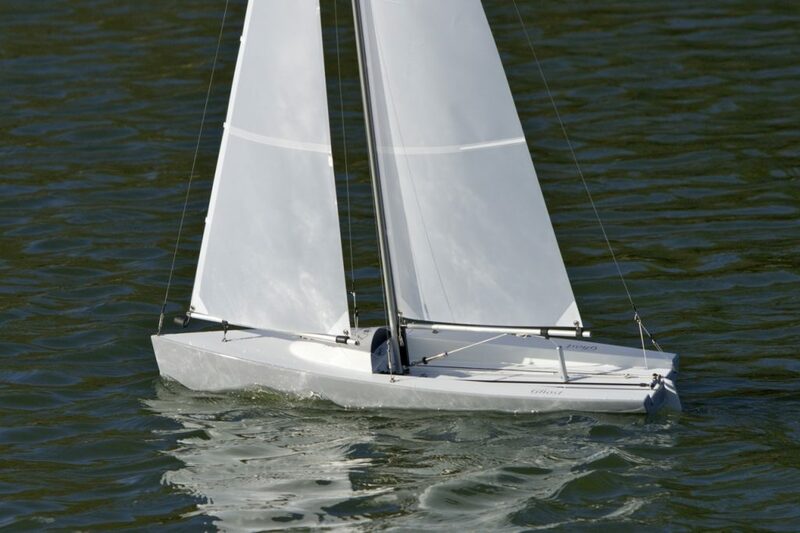 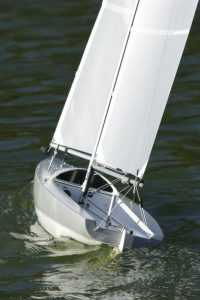 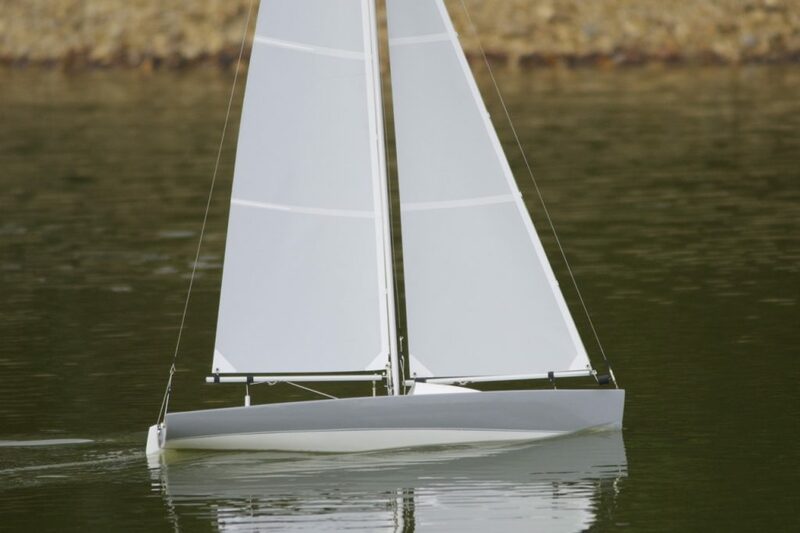 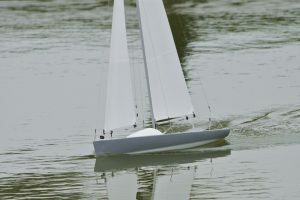 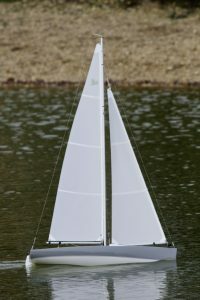 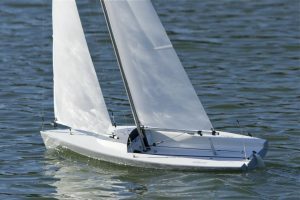 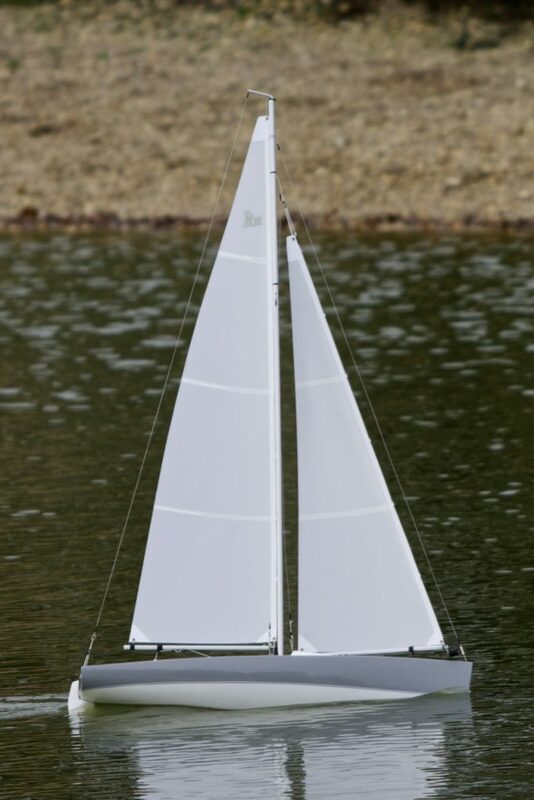 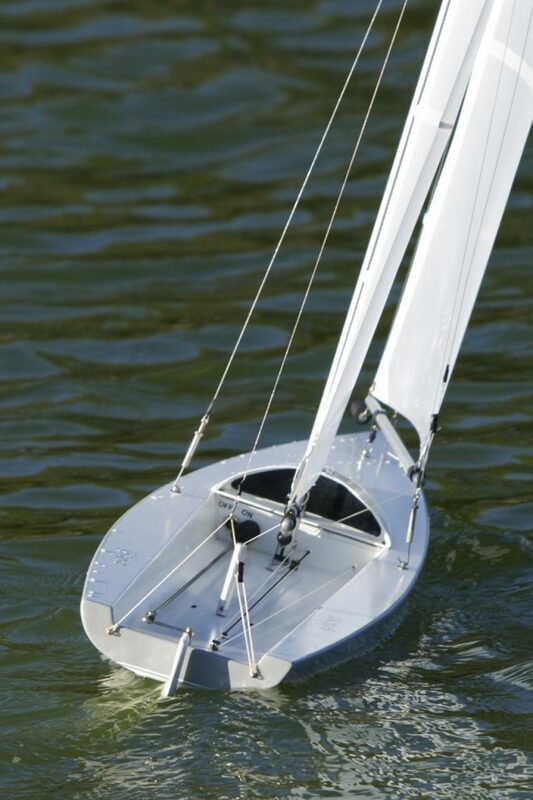 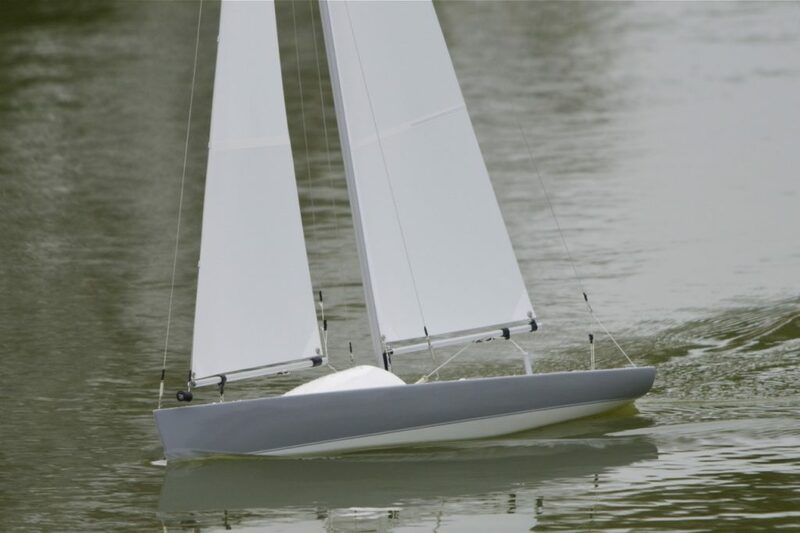 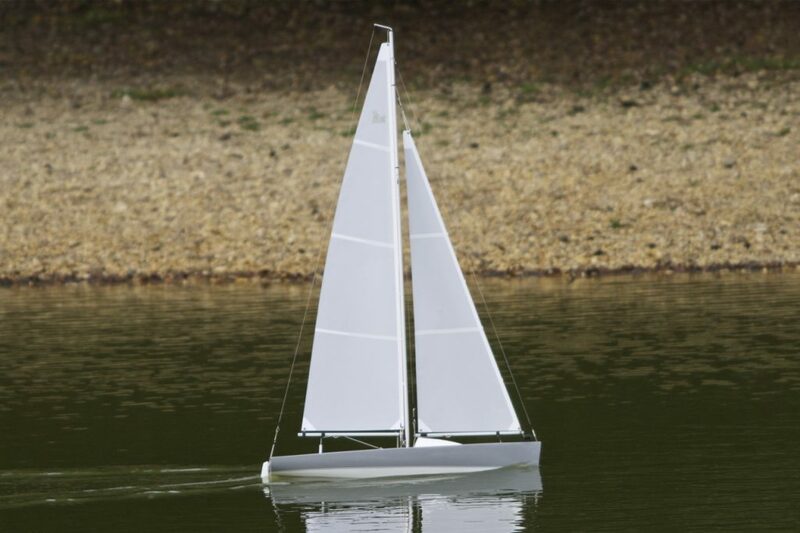 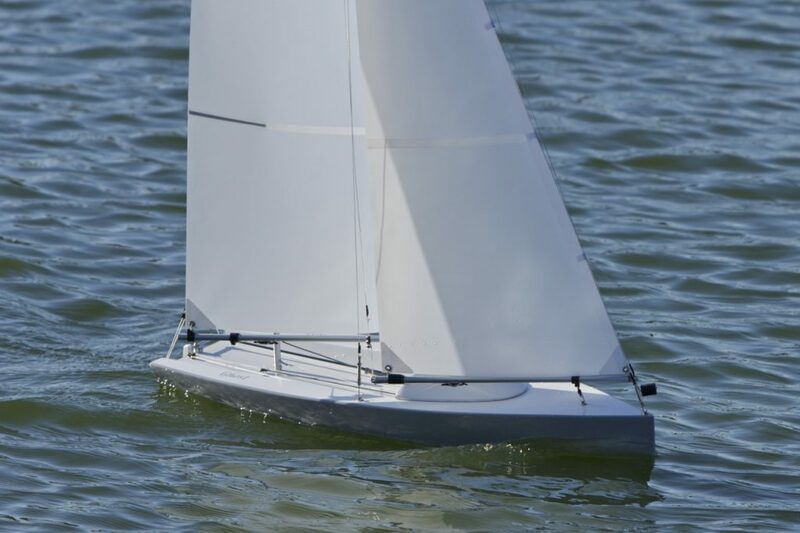 Ghost, racing yacht; model: Nigel James. 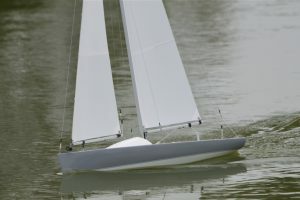 “Ghost is a Mini-Mumm design by Mike Robinson and Graham Bantock, basically a threequarter size One Metre. 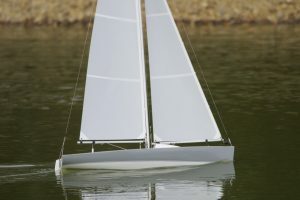 Built from a Marine Modelling plan (April 1998) and constructed in planked balsa with glass/epoxy sheathing and ply deck. 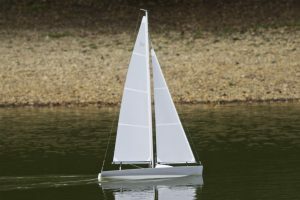 The original drawing did not have a sail plan so I simply scaled down the standard One Metre rig and this seems to balance very well. Planet 2.4GHz radio and Supertec digital drum winch are squeezed under the foredeck along with the battery pack and steering servo.